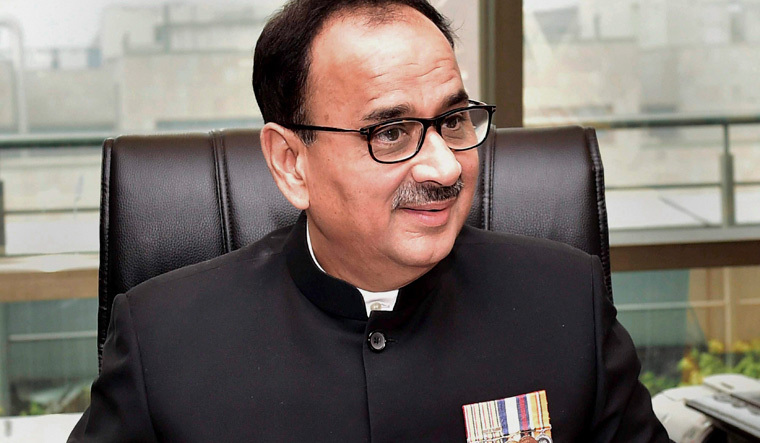 There was hectic activity at the Central Vigilance Commission headquarters in New Delhi on Thursday with CBI Director Alok Verma deposing before the commission, refuting allegations of corruption levelled against him by his deputy and Special Director Rakesh Asthana. Verma met CVC K.V. Chowdhary and Vigilance Commissioner Sharad Kumar and stayed at the Satarkata Bhawan, which houses the CVC headquarters in South Delhi, for over an hour. Verma is learnt to have expressed willingness to cooperate with the CVC probe even as he trashed allegations that he had taken bribe from Hyderabad-based businessman Sana Satish Babu to settle a case against him. Sources said Asthana is likely to appear before the CVC on Friday. The CVC has been burning the midnight oil to complete its inquiry by November 12, the deadline set by the Supreme Court to inquire into the allegations and counter allegations between Verma and Asthana. Officials said the process of deposition of the principal protagonists in the CBI versus CBI matter will continue over the next few days as there are several complaints against each of them and multiple issues need to be examined. The sources said the CBI director's deposition before the CVC was on the cards since he had been asked to come before it to clarify the points he had raised in his replies to the CVC defending himself on various counts, including the bribery allegations and other allegations of professional misconduct. Sources said the CVC has also quietly examined the Hyderabad-based businessman, Sana Satish Babu, who is at the centre of the controversy as he is a complainant in the case against Asthana. The CBI had said that Sana's complaint was the basis for the registration of the FIR against Asthana by the agency under Verma's charge. Sana's appearance before the CVC also gains significance as Satish Babu, who is said to have gone missing after the controversy broke out, has made himself present in the public eye. His appearance before the CVC gains utmost significance because only he can clarify whether there was any demand for bribe by any government official and whether the allegations and counter allegations between the CBI top bosses hold any truth. Meanwhile, officials explained that the CVC, which is a constitutional body, has the powers to examine private individuals if it is required during inquiry. It is under the watch of the apex court that the inquiry is being carried out on the allegations made by Asthana accusing Verma of taking Rs 2 crore bribe from Satish Babu, a suspect in the Moin Qureshi case being probed by the CBI. Asthana's complaint to the cabinet secretary had been forwarded to the CVC which has supervisory authority over the CBI. With the allegations surfacing against the CBI director, the government divested him of all powers and functions. Verma challenged the move in Supreme Court saying Asthana's complaint is baseless and malafide as the latter's role is under investigation in half a dozen cases. The CBI in turn registered an FIR against Asthana alleging that he had taken bribe from Sana to influence the Qureshi case being investigated under his supervision. Following the allegations and counter allegations, the Supreme Court issued notices to the Centre and the CVC, and set November 12 as the deadline for the CVC to complete an inquiry on the complaints made by both Verma and Asthana and submit its report.